Update – Feb. 24, 2017: The deadline for the Cassini Scientist for a Day Essay Contest has passed. The winners will be announced in May 2017. Next week, NASA’s Cassini spacecraft will go where no spacecraft has gone before when it flies just past the edge of Saturn’s main rings. 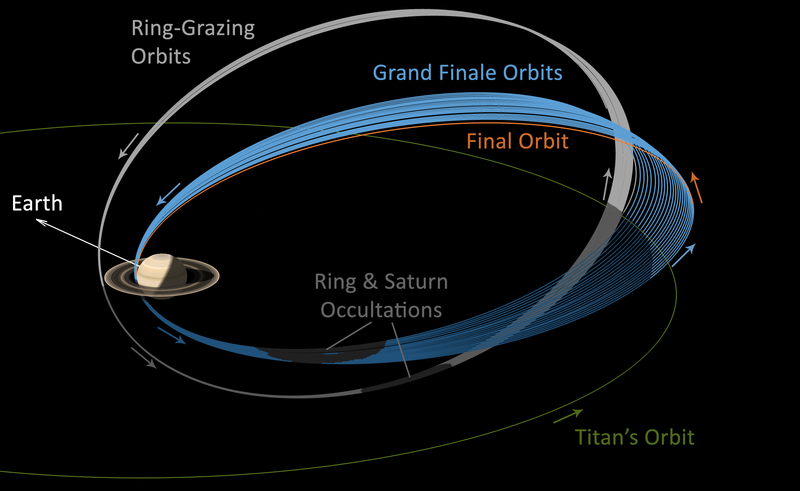 The maneuver is a first for the spacecraft, which has spent more than 12 years orbiting the ringed giant planet. And it’s part of a lead-up to a series of increasingly awesome feats that make up the mission’s “Grand Finale” ending with Cassini’s plunge into Saturn on Sept. 15, 2017. 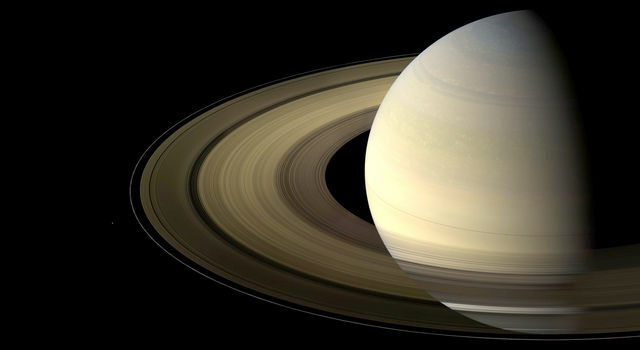 To prepare for the so-called “ring-grazing orbits,” which will bring the spacecraft within 56,000 miles (90,000 km) of Saturn, Cassini engineers have been slowly adjusting the spacecraft’s orbit since January. They do this by flying Cassini near Saturn’s large moon Titan. The moon’s gravity pulls on the spacecraft, changing its direction and speed. On November 29, Cassini will use a big gravitational pull from Titan to get into an orbit that is closer to perpendicular with respect to the rings of Saturn and its equator. This orbit will send the spacecraft slightly higher above and below Saturn’s north and south poles, and allow it to get as close as the outer edge of the main rings – a region as of yet unexplored by Cassini. Cassini’s ring-grazing orbits will allow scientists to see features in Saturn's rings, up close, that they’ve only been able to observe from afar. The spacecraft will get so close to the rings, in fact, that it will pass through the dusty edges of the F ring, Saturn’s narrow, outermost ring. At that distance, Cassini will be able to study the rings like never before. Among the firsts will be a “taste test” of Saturn’s rings from the inside out, during which Cassini will sample the faint gases surrounding the rings as well as the particles that make up the F ring. Cassini will also capture some of the best high-resolution images of the rings, and our best views of the small moons Atlas, Pan, Daphnis and Pandora, which orbit near the rings' outer edges. Finally, the spacecraft will do reconnaissance work needed to safely carry out its next planned maneuver in April 2017, when Cassini is scheduled to fly through the 1,500-mile (2,350-kilometer) gap between Saturn and its rings. 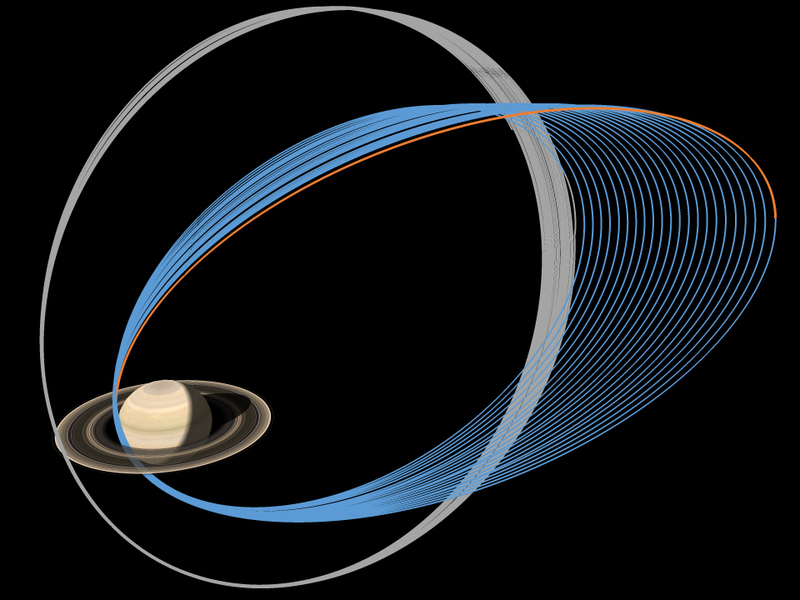 › Read more about what we might learn from Cassini's ring-grazing orbits. These orbits are a great example of scientific research in action. Much of what scientists will be seeing in detail during these ring-grazing orbits are features that, despite Cassini’s 12 years at Saturn, have remained a mystery. 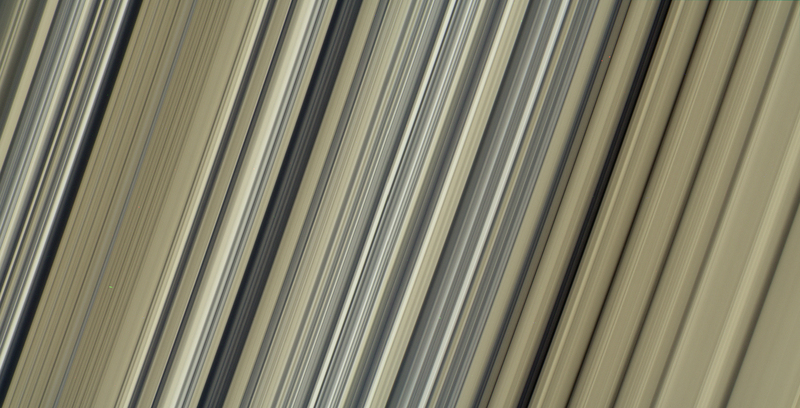 These new perspectives could help answer questions scientists have long puzzled over, but they will also certainly lead to new questions to add to our ongoing exploration of the ringed giant. 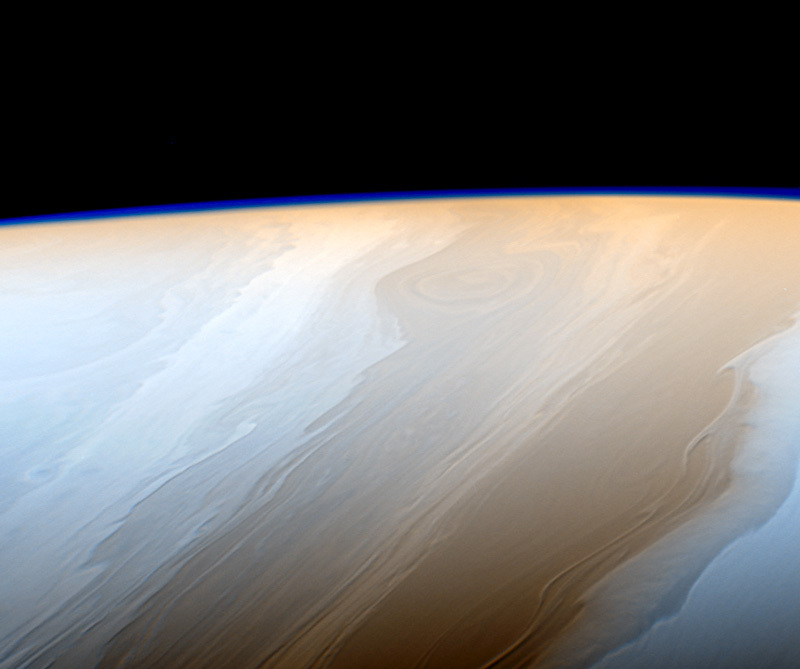 What better way to share in the excitement of Cassini’s exploration than to get students thinking like NASA scientists and writing about their own questions and curiosities? 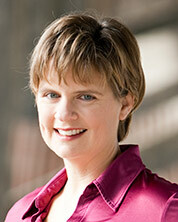 NASA’s Cassini Scientist for a Day Essay Contest, open to students in grades 5-12, encourages students to do just that. Participants research three science and imaging targets and then write an essay on which target would provide the most interesting scientific results, explaining what they hope to learn from the selected target. 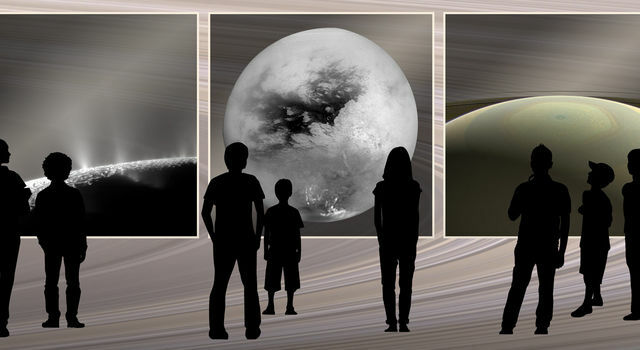 Winners of the contest will be featured on NASA’s Solar System Exploration website and get an opportunity to speak with Cassini scientists and engineers via video conference in the spring. More information, contest rules and videos can be found here. The deadline to enter is Feb. 24, 2017. Download this timeline featuring milestones from Cassini's mission at Saturn or explore the interactive version!